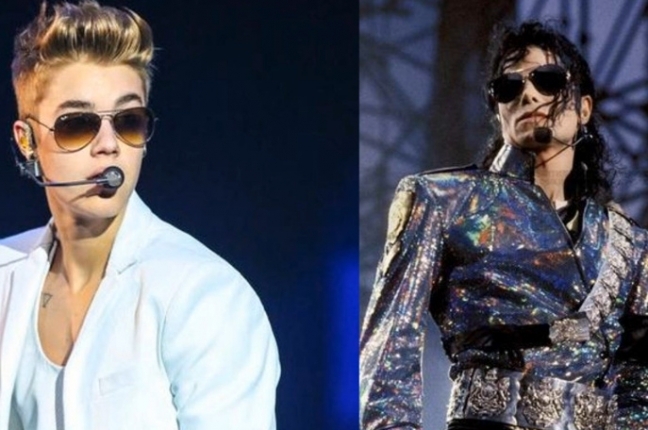 Epic Records Chairman and CEO L.A. Reid says a collaboration with Justin Bieber and Michael Jackson is likely coming. And he should know, as the man behind Michael Jackson’s new ‘Xscape’ album and who signed Bieber to Island Records in 2009. Fans will recall the track “Slave 2 The Rhythm” that was leaked last year with vocals by both Jackson and Bieber. Sony Music Entertainment was quick to remove the track from the web and now it appears sans-Bieber on Jackson’s ‘Xscape’. Speaking with Shaun Robinson on Access Hollywood, Reid explained this. With the help of a duet with Justin Timberlake on single “Love Never Felt So Good” — which debuted last week at No. 20 on the Hot 100 and No. 6 on Hot R&B/Hip-Hop Songs — Jackson’s ‘Xscape’ is eying a No. 1 position on the Billboard 200.